Q16 is a particular application of the CS14 product family when robust and precise detents are required. This ACP patented design consists of a 16x15mm. rectangular shape external housing with a built-in detent mechanism, fitted on a CS14 V potentiometer. The standard configuration has 16 detents evenly distributed along its 360º endless rotation, and allows to choose between 4 different detent torque values, from 3 Ncm to 6 Ncm to provide different degrees of softer or harder feeling. 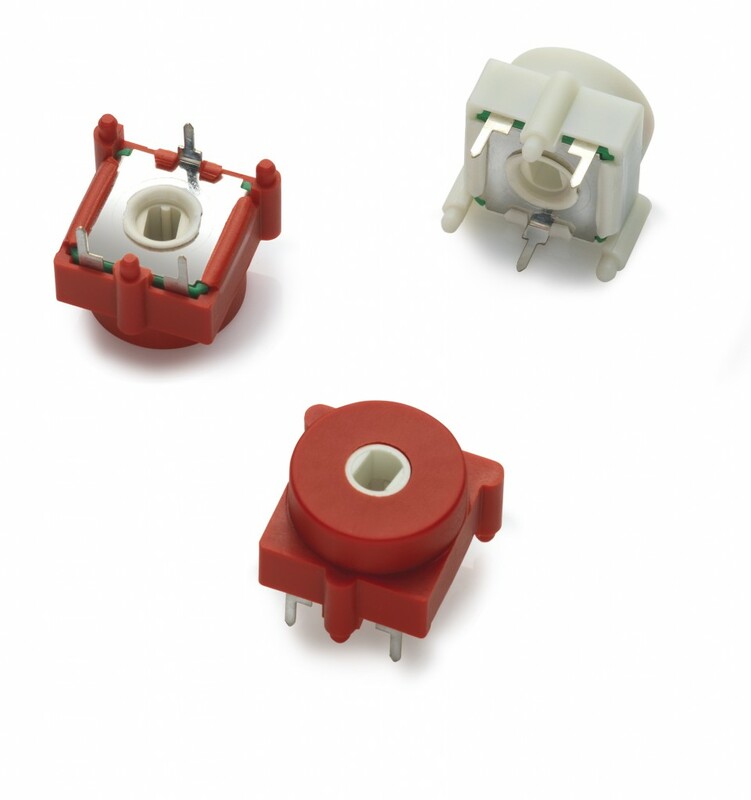 The linear characteristics and materials of the CS14 core potentiometer, combined with the detent mechanism, guarantee at least 10.000 turns and no voltage overlapping between contiguous positions. The rotor design allows a thru shaft to be inserted into the rotor from either top or below side. A Poka-Yoke feature incorporated in the rotor avoids shaft misplacement. Ingress Protection rating type is IP54 and plastic materials can be self-extinguishable according to UL 94V0 whenever required. This Rotary Potentiometer Switch is the ideal alternative to Absolute Encoders and Rotary Switches for control applications like Program Selector Switches in White Goods: Washing Machines, Dishwashers, Dryers, Electrical Ovens etc., Controls in other Appliances like Ranges, Microwave Ovens, Kitchen Robots, etc., and HVAC in Automotive: Air Flow Distribution Switch, Temperature Setting and Fan Speed Selection.